*I quickly folded the bed and carried it in the house. It is a snap to set up since it just unfolds. There is no assembly ever and it only takes seconds to have it ready for lounging. Pierre was still leery of it, but after his papaw spiffed it up with his couch pillows, he climbed on it. Pierre: “I am on the nice list and I will add it to my Christmas book of desires. The beds are available in three sizes. 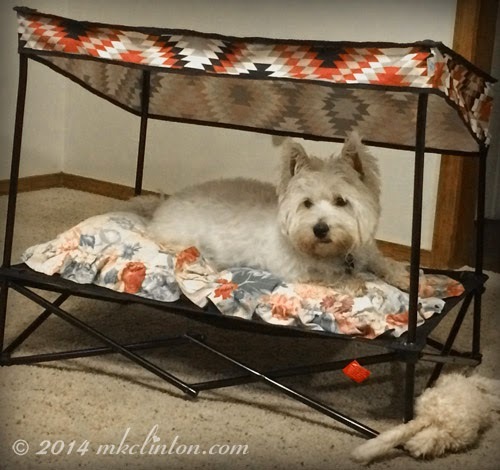 The small is 24” x 24” for dogs or cats up to 25 pounds. 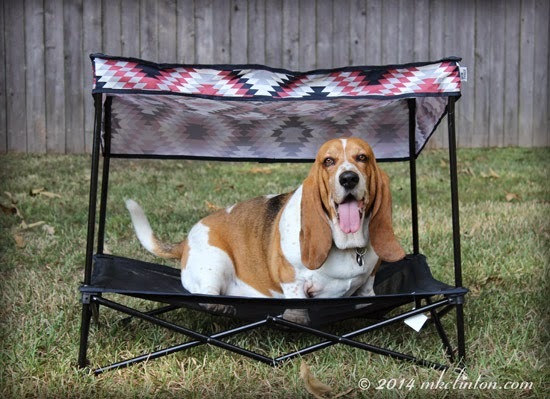 The medium is 24” x 36” and supports a dog up to 60 pounds or a humongous cat! The medium is the size Bentley won. They make a large for big dogs up to 85 pounds and it is 30” x 42”. Bentley: “Since I actually own the Quik Shade bed, I will announce that we are in total agreement with a solid FIVE PAWS OF APPROVAL! Plus, we also want to give a big thank you to Quik Shade and our friend Allison for this fantastic product. I am not being compensated for helping spread the word about Quik Shade Pet Shades and Kennels. We received a medium size bed because of winning an Instagram photo contest. M. K. Clinton Barking from the Bayou only shares information we feel is relevant to our readers, Quik Shade Pets is not responsible for the content of this article. I have great news!! Batman the adorable cocker mix that I featured last week has been adopted. He was my buddy at PetSavers adoption day held at PetSmart. I am so happy for him and his new family. We are happy to join our hosts Dogs ‘N Paws and Talking Dogs for Tuesday’s Tails in an effort to find homes for shelter dogs and cats everywhere. Today we are introducing two sisters and one of the cutest little boys ever. Please share these photos on your social media and let’s find homes for them. PetSavers has so many dogs and cats that are waiting for their forever homes. If you or someone you know is searching for the perfect companion, direct them here. That is way cool. We'd so love one of those. Have a terrific Tuesday. those look great but I know neither of my boys would ever use it. Oh how cool is that?! My huskies would never fit in there, but you two look very comfy! Congrats on winning!!! I am SO happy to hear that Batman found a home! thank you for the update, and I will share the other 3 gorgeous pups as well. Wow...what a pawesome bed!!! I bet it is great for midday naps a fresco!! that looks like a great product! would be great for camping or for picnics or for someone with a yard (we have no yard since we share a courtyard in an apt/condo complex) Love it! 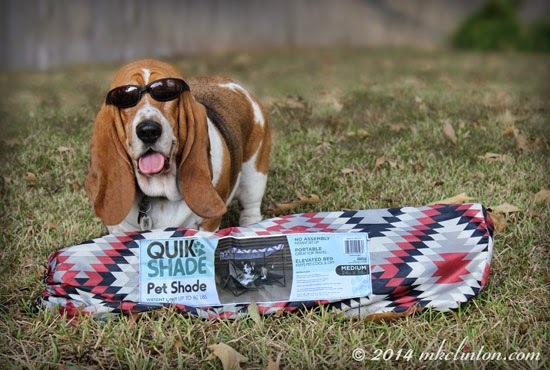 Love your quik shade bed! It would be great in the summer, but I wonder if it can hold a couple feet of snow on the roof in the winter??? Maybe it is just for summer??? I'm thinking winter right now, but for summer, perfect! That is so cool, wonder if we would fit under there?! Thanks for sharing! Cool shade! That could go to the beach. Oh, forgot . . . we don't have a beach! That bed looks really awesome. Our crew would love to have one of those right out on our deck. Sheba would be afraid of it just like Pierre, so don't feel bad, Pierre. We're glad you got used to it and got to try it out. Hope you get one for Christmas! Great news for Batman!! Hope the others make out just as well....shared. Very cool Quick Shade bed. We could use one of them when Veruca joins me at any dog events. Although, we may need a large one for her. What a cool Shade bed. We want such a bed too. Hey...it does look like a great camping item, that way bites would have his own place and not be crawling into Dads sleeping bag! Oooo! Those beds look nice! I wouldn't mind testing one of those out! Yea!!! I'm so glads that they gots their furevers homes!! 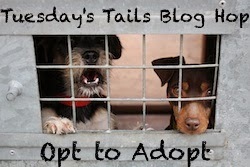 I'll keep my paws crossed for Chloe and Blackie! That is SUPER posh!! Love it! What a great bed! Sharing Buttons, Chloe and Blackie. Hope they find homes soon. What a super bed, sharing the three pups. oooo the quick shade is very cool! What a cool shady spot, love it!